This is a view of Fort Matanzas, as seen from the southeast. There are cannons on the gun deck of the fort. 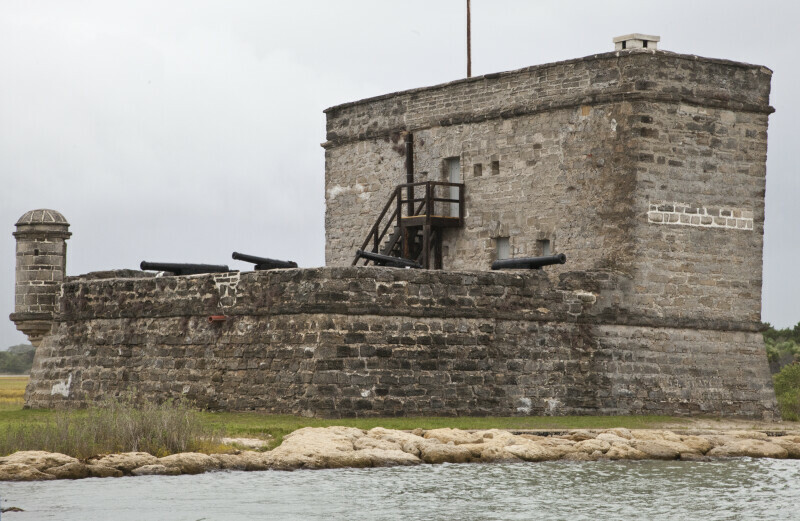 The fort is listed on the National Register of Historic Places, as Fort Matanzas National Monument.